I feel like the journey to trying to achieve and maintain beautiful pearly whites is never ending. My latest stop on this journey is with Opalescence Go and I have to say I'm a bit of a fan of this stuff. First off, the application is so unique! In the box you get ten pairs of mouth trays, so that's ten applications. 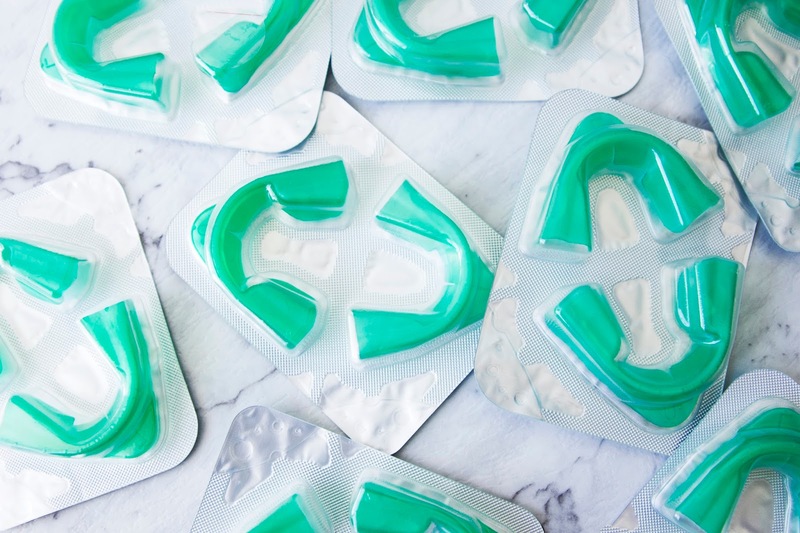 The trays already have the whitening formula in them (which saves a lot of mess being made) and you just pop the trays on your upper and lower teeth, and then pull off the green, outer layer which leaves you with a nice, slim-fitting clear tray which you keep on. Because it's nice and slim it makes it super comfortable to wear, unlike many others I've tried. It comes in both mint and melon flavours and you can wear these for varying amounts of time depending on how strong an application you need. For maximum effect they recommend to leave the trays in for 60 - 90 minutes. 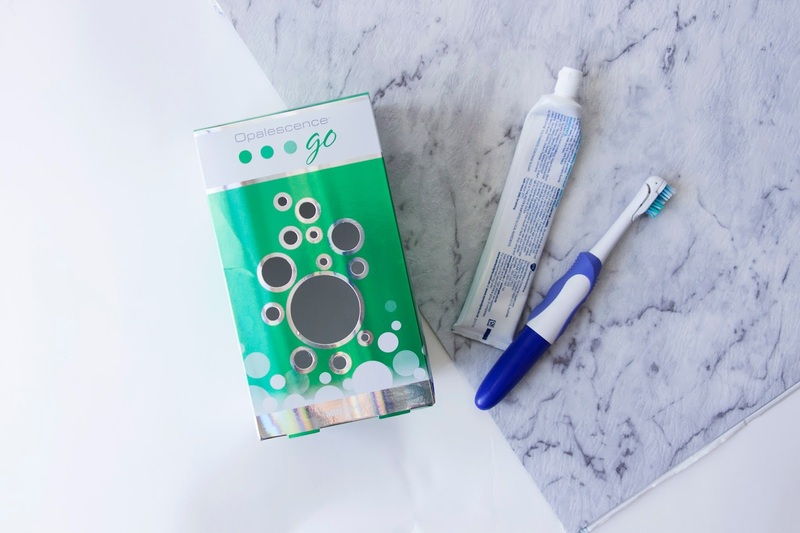 Opalescence is actually used by dentists, so you know it's gotta be alright stuff, and this ready-to-go kit is basically like getting a quick professional treatment, but you get to sit on your own couch and watch Netflix. If you're someone with quite sensitive teeth however this may not be for you because there is quite a lot of product on the trays and it is fairly strong. I have a couple of sensitive teeth because my enamel is quite thin, and the first time I used it I could only leave it in for around 15 minutes because one of my teeth started to chuck a tantrum and get a little sore. 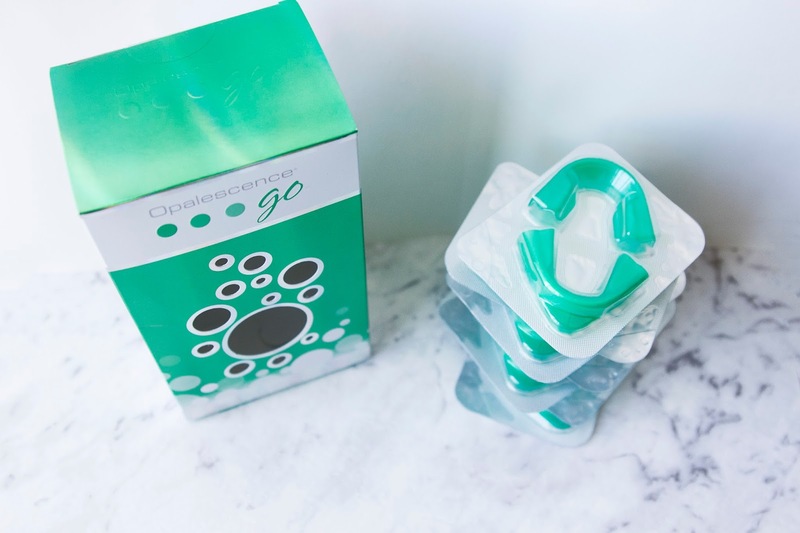 In saying that, even though I had it on for a relatively short period of time, when I took the trays out I saw that the product had already really started to whiten my teeth. The next time I just scraped off some of the product in the section where that sensitive tooth was so I could leave them on for a little longer. Despite that, I have to say this is a pretty awesome product for getting your teeth looking pearly white, and if you have normal teeth that don't really have much sensitivity and you're able to leave these in for the maximum amount of time I have no doubt you'll be so impressed with the results. If you're someone who is quite busy and might only have a short period of time in the morning or afternoon, these ready-to-go packs are perfect. They'd also be the perfect compliment to any other teeth whitening routine you might have to keep your whiteness on fleek when you find yourself in a busy period. To find out more check out Opalescence's website or Facebook.